Ferro De General Pico launch new goalkeeper kit. Discussion in 'Football Forum' started by FujiVice, Apr 30, 2018. A meme kit. 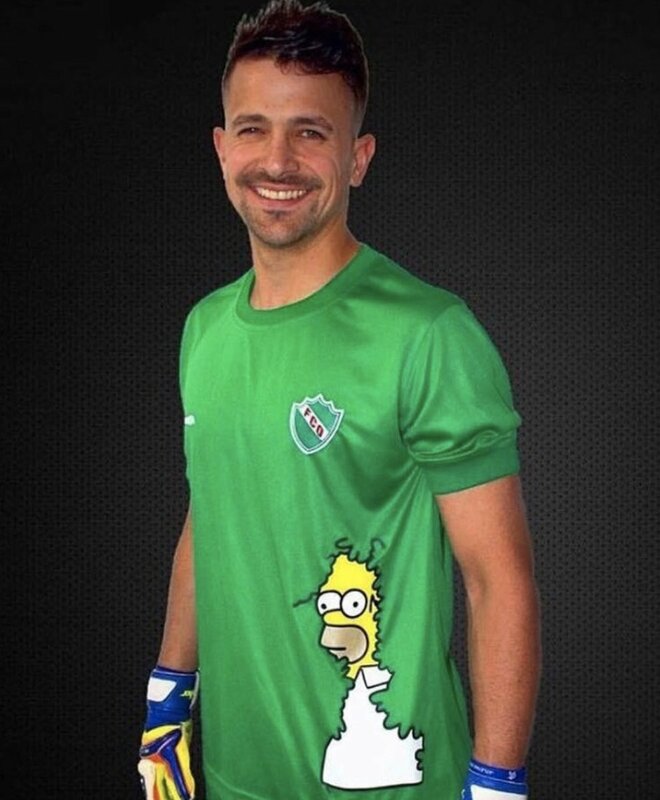 Ironically, I'd want to do what Homer is doing if I had to wear that kit. It's a good enough laugh to be fair, and gets people talking about a club that otherwise wouldn't be. I'll steam my hams however I see fit. It's alright tbf. Gets people talking about them. Hams? No he said clams. That's all well and good for sheep, but what are we to do? I hope it'a all licensed, or at least I hope they don't get sued if it isn't.